Back in the day, Noah had been given plenty of warning, but everybody just kept on doing their own thing. Then came a wall of water—whoosh! Today, it's the same thing: Jesus has given plenty of warning, but the masses who don’t know Him go about their way indifferent or unaware that God will again intervene, this time a with judgment of fire. Plenty of believers are doing the same thing. Lord, I thank You for Your patience. Now, give mepatience. I don't want to be a skeptic. I want to use these remaining days, be they very few or be they many, to make an eternal difference. Give me Your heart for those who are perishing. Give me Your desire that they all come to repentance. Then live through me in a way that communicates to them Your tangible love. Amen. Discover the reward of a holy life! You’ve probably heard the command from Scripture to “Be holy as your heavenly Father is holy.” But how are you supposed to be holy like God in the stress and busyness of everyday life? 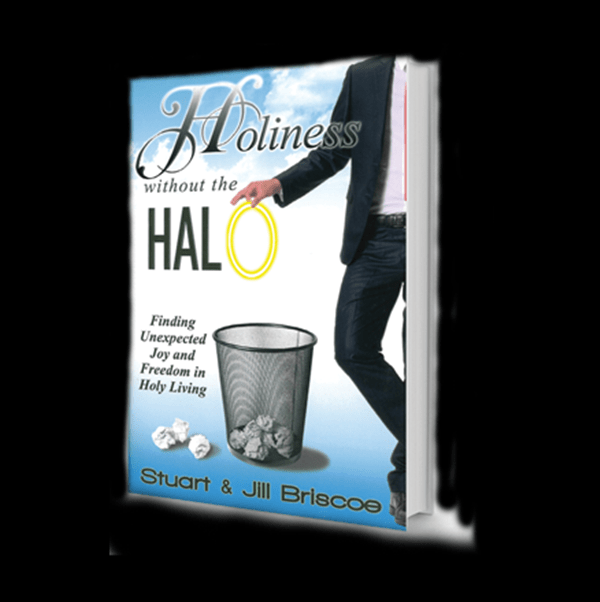 In their latest book called Holiness Without the Halo, Stuart and Jill Briscoe will show you how you can live a holy life as you let Christ express Himself through you in the small moments every day. Holiness Without the Halo is our gift to thank you for helping people around the globe encounter God’s holiness in a whole new way. So please request your copy when you give to Telling the Truth today.